I was looking in the Window of a framing shop and was inspired by a framed photo of Clint Eastwood and thought my friend Keith would make a great Spaghetti Western Cowboy. 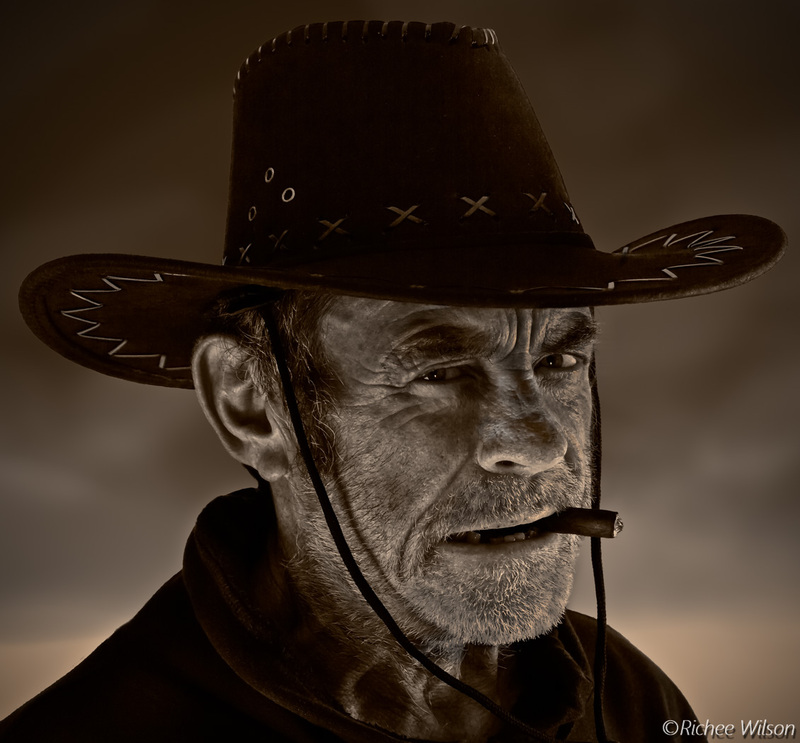 So I bought some cigars and a cowboy hat and invited my good friend over to model for me. About three months later Keith’s Son told me of a art exhibition looking for entries in Goldaming UK, so I entered this as a framed print. The exhibition contained paintings, sculptures and a few photographs. The winner was a strange wax sculpture and two art pieces were given “Commendations”, I was made up one of them was “Crazy Bandito” as was Keith. Happy days. It was shot with a Canon EOD 7D using a 50mm f/1.8 also known as the “Plastic fantastic” or “The nifty 50”, a cheap yet good lens. Some editing was done in Photoshop (I had a background issue to fix) and then in Lightroom I used a generous amount of Clarity which gave it a gritty look. Here’s another shot from the same session, as you can see, I got a little creative with the background in editing. 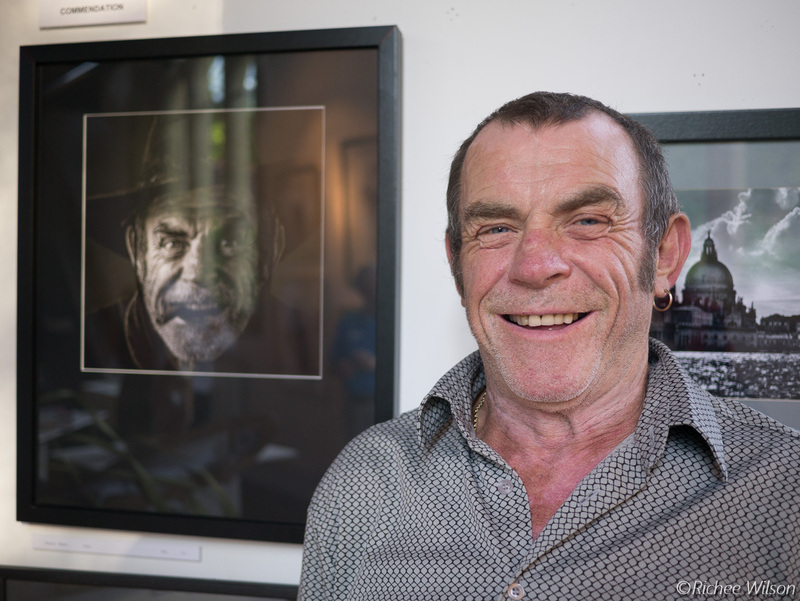 And I’m so glad Keith and I attended the exhibition to give us the following shot as a fine memento. 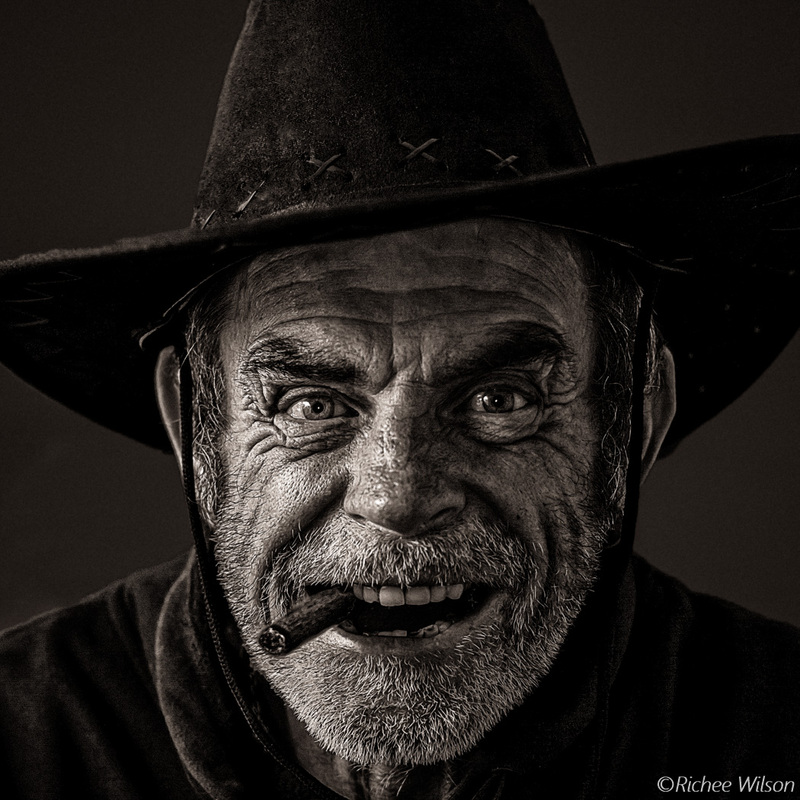 Superb portraits, full of character and emotion. I really like how you have brought out the grittiness of your friend’s features.